Not many books get the chance of being launched in the private gardens of Westminister Abbey but this extremely enjoyable picture book showing a monastry garden throughout the year was written by the Westminister Abbey gardener. Jan Pancheri is the youngest child in a large family, she used to entertain herself and others by writing and telling stories. 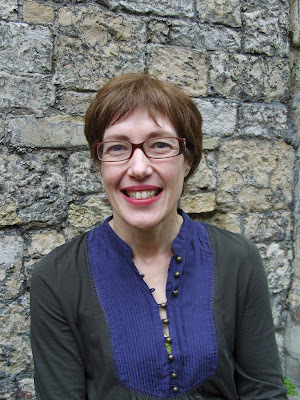 She has been at Westminster Abbey for 5 years and knew from day 1 that she would write a book around the gardens. 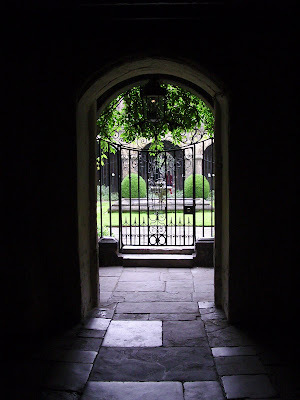 The atmosphere is very special, contact with the soil in general and specifically Westminister Abbey gardens has an healing effect and brings its own spirituality. 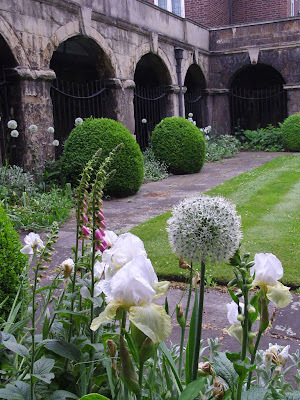 The first photograph is the May Irises with June Digitals (see months in book) from within the garden itself, then the author and third photograph is the entrance to the little cloister (illustrated inside front cover). These three pictures were taken by Garden Designer Penny Hinves for Carousel. The final picture comes from the publisher. 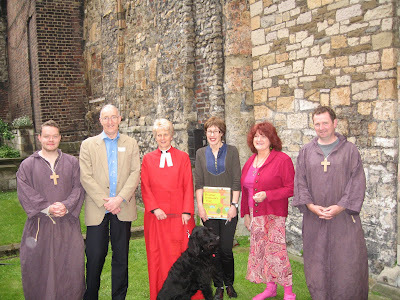 Monk; Maurice Lyon Director, Frances Lincoln Children's Books; Canon Jane Hedges of Westminster Abbey; Rufus the dog; Jan Pancheri - author; Yvonne Whiteman, Editor; Monk. Fantastic - well done! Doesn't that courtyard look inviting..?